Many of the products and services people use collect data. Services do this in different ways. For example, an e-commerce site will collect data directly when someone enters a billing address, but it could also collect data indirectly when someone searches for a product. In turn, it might use these findings to generate new data about items people might buy. This can be opaque to people. According to doteveryone’s recent study, over fifty percent of people can’t find out how much data they share when they use a service. Songlio and Hausbot are smart speakers. Controlled using your voice, these devices can perform tasks for you, such as playing music or making shopping lists. You can transfer information like song preferences and voice recognition between smart speakers made by different companies. 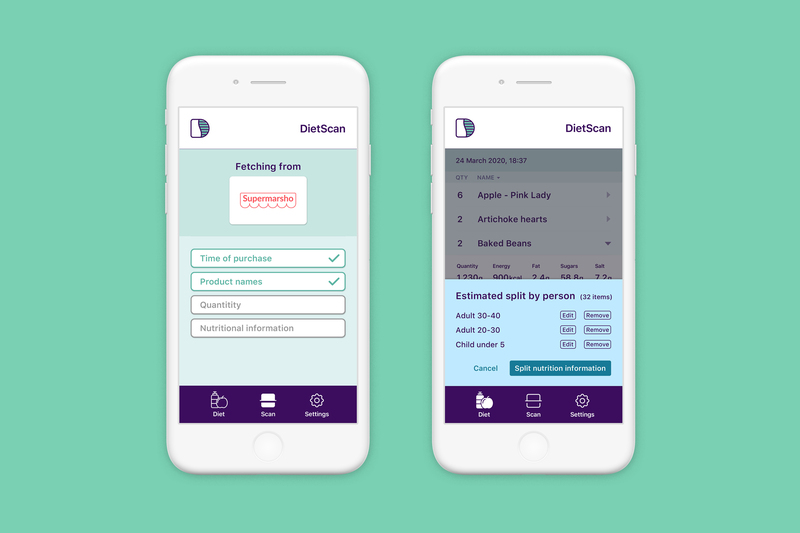 DietScan helps you see and understand more about the food you eat. 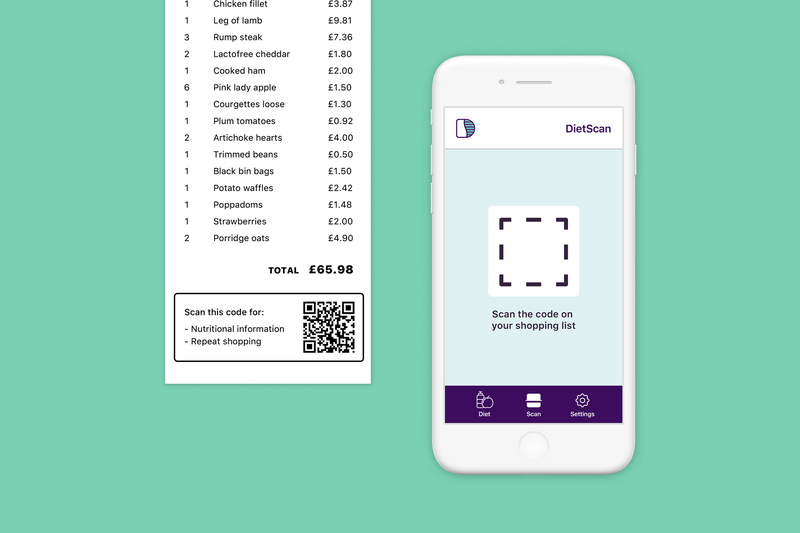 By using codes on shopping receipts, DietScan fetches nutritional information for every item of food you’ve bought. To understand your diet, Diet Scan analyses items to calculate information about what you and others ate. We found that many people weren’t aware of the types of data that services hold about them. This is important because people need to understand what data a service holds about them in order to make an informed decision about transferring it. In testing, people talked about “my data” or “owning data.” People felt that because they ‘owned’ data about them, they could control it how they wanted. Very few people talked about shared ownership or multiple rights over data. Few people seemed to understand that data they control could also be about other people. This could be a result of people’s individualistic view of data, as well as the way in which services are currently designed. Most people felt data was private if it didn’t include names, dates of birth and addresses. People felt the risks of sharing some types of data, like their energy use, was very small. The potential for data to be used for harmful purposes wasn’t clear to the people we spoke to. This might be because people don’t understand how much can be inferred about them from different kinds of data. We frequently heard in our research that people have limited time and energy to understand their digital rights and any risks involved in every service they use.